As stunned as I am that it’s late September, I have to face the fact that summer is over. 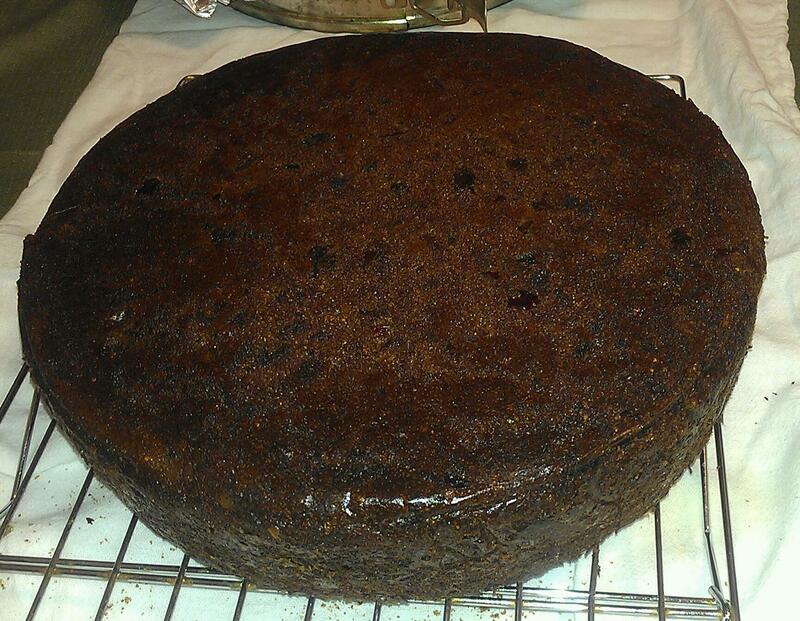 With that comes the realization that it’s time to start my Jamaican black cake, which is also called Christmas cake. Several years ago, a co-worker, who was from Jamaica, introduced me to black cake and I asked her for a recipe, which I shared on Epicurean.com. 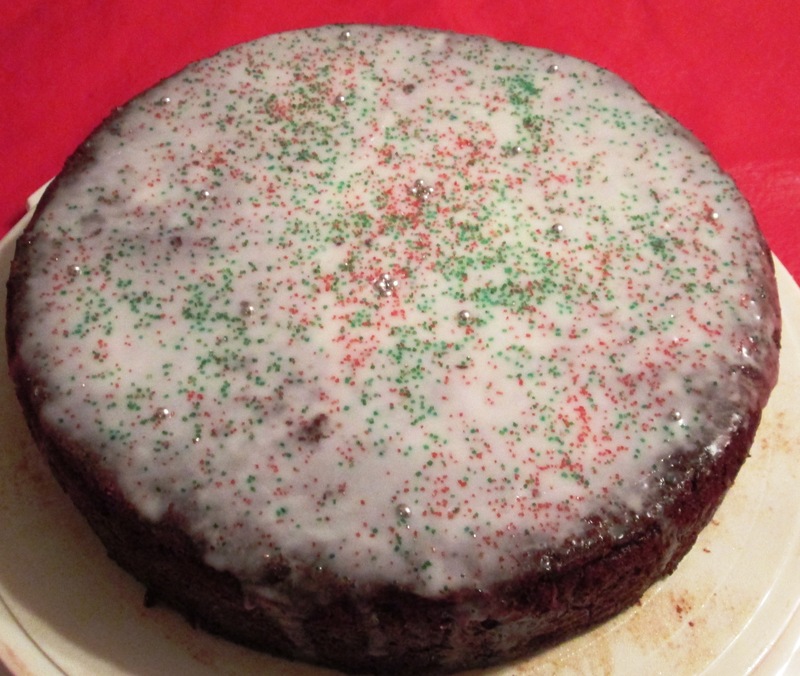 It’s a tradition in Jamaica (and other parts of the West Indies) to serve this cake at Christmas, as well as weddings and other special occasions. Black cake/Christmas cake is also sometimes called plum pudding because it’s derived from the traditional British Christmas cake of the same name. Plum pudding is basically fruit cake and it was soaked in brandy to keep it fresh on long voyages across the seas. (Plum pudding is traditionally lit aflame at presentation time. I suspect that this was done the first time by accident as a result of being so soused in brandy and someone getting too close to it with a candle or something.) When the British began trading through the Caribbean, the plum pudding went with them. But rum, rather than brandy, was the liquor available on the islands, and sugar and molasses became the sweeteners. The addition of allspice and nutmeg are more Island touches on the old recipe. It is said that the original recipe for plum pudding dates to Medieval times, when it called for 13 ingredients—1 for Jesus Christ and 12 for his apostles—and was to be made on Christmas Eve. Since then, it’s become a more elaborate affair. 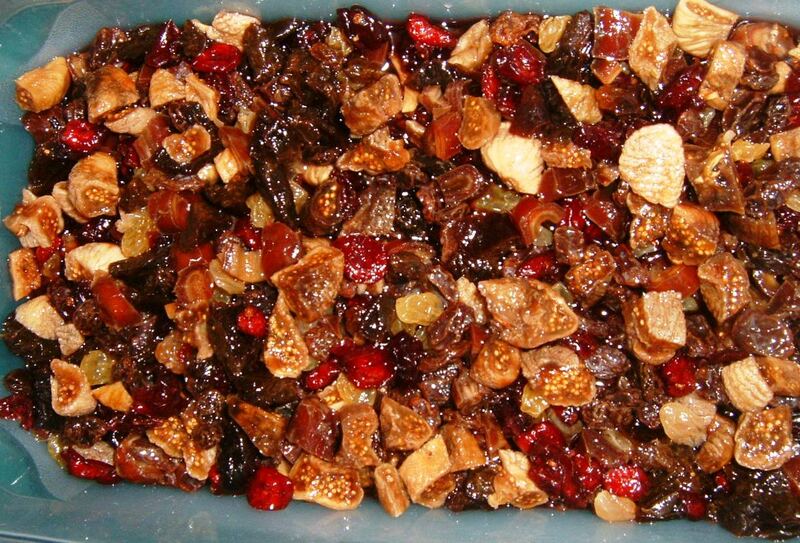 As with other fruit cakes, a black cake contains various dried fruits that are macerated in rum and, sometimes, port wine for weeks. The ideal time to bake it is a couple of weeks before Christmas, and as the days go by, it’s periodically basted with more booze. Give it a shot. This is one fruit cake that will not get passed around. Enjoy! Wash fruit well. 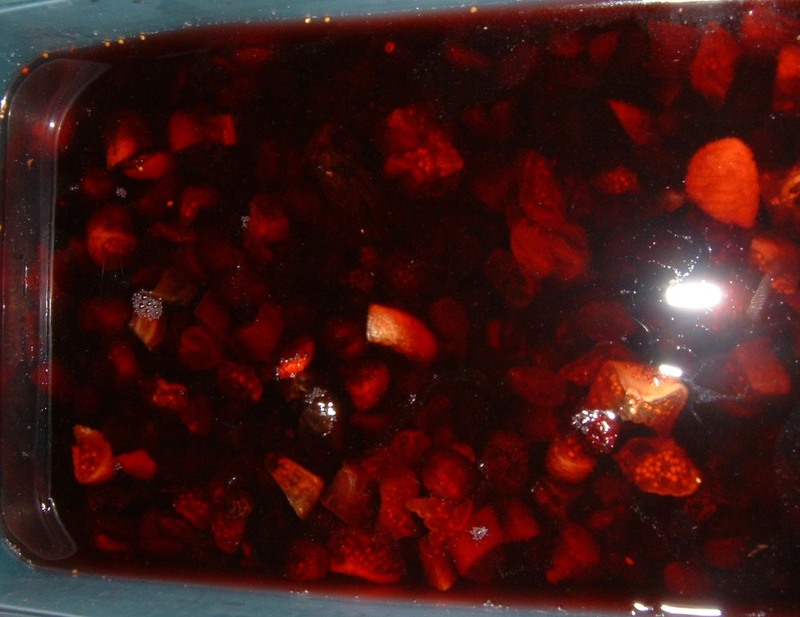 Soak fruits in 2 cups port wine and 2 cups rum for at least 4 weeks before baking. 2. Grease a 10-inch baking tin with butter or margarine. Line the tin with wax paper. 3. Mix butter and sugar until light and fluffy. 4. Add eggs, one at a time, and continue beating until mixture is smooth. 5. Add flour and baking powder and continue to mix. 6. Blend in browning, molasses, vanilla, almond, nutmeg, allspice, and lemon juice. 7. In a blender or processor, grind fruits and add to mixture. 8. Add 1 cup rum and 1 cup wine and mix well. Place in oven. Cake is baked when a knife is inserted into center of cake and comes out clean. Check cake after an hour. This will make approximately 4 lbs. of cake. If you’re baking it weeks or months in advance, continue basting it periodically with wine. Decorate if you wish, but it can be served as is. Categories: Cakes, Desserts, Ethnic Dishes, Holidays, Traditions, Uncategorized | Tags: black cake, christmas, christmas cake, fruit cake, Jamaican cake | Permalink.